In 2015, East Bay officials broke ground on a long-planned vision to turn a Fremont industrial quarry into the Bay Area’s first shoreline campground built in decades. 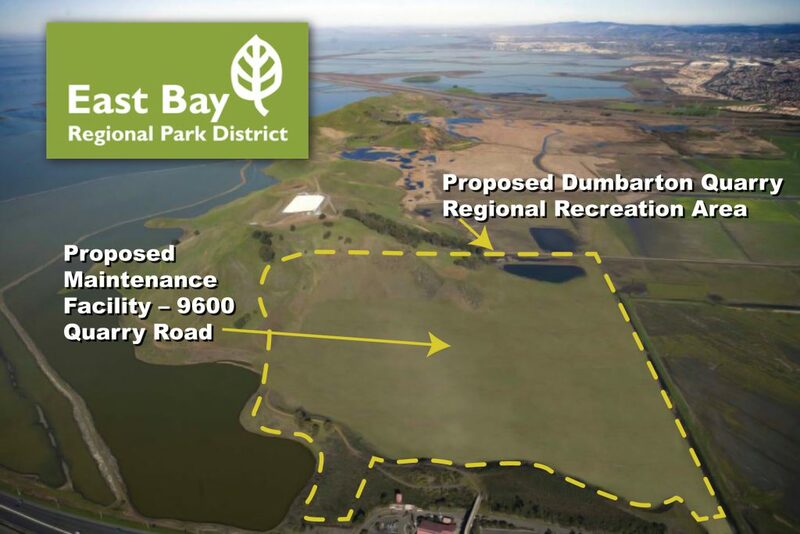 Fast forward to 2018, as the 91-acre Dumbarton Quarry Regional Recreation Area nears a 2019 completion goal, including a unique bayside campground, picnic area, playground, amphitheater, trail connections to Coyote Hills, San Francisco Bay Trail and the Don Edwards National Wildlife Refuge. Interactive Resources has a long working relationship with the East Bay Regional Park District (EBRPD), which conceived of and will manage the new recreation area. We were recently awarded a contract to provide architectural design and engineering services for the EBRPD’s maintenance facility at the recreational area. The project consists of the design for a new building and related site improvements for the proposed maintenance facility at 9600 Quarry Road. The new building will be approximately 40 feet by 110 feet, and will serve as the recreation area’s maintenance facility, including a three-bay garage, offices, restrooms, shower, kitchen, lockers, and break room/common area. There will also be a separate structure for refuse included in the project design. Our services include: design development, construction documents, bidding and construction administration services, and should be complete by years’ end. Pending EBRPD Board approval, our design could be used as a standard schematic design for future maintenance facilities. The Dumbarton quarry dates from the Bay Area building boom of the 1950s; 1 million tons of gravel a year was used to build parts of San Francisco International Airport, Oakland International Airport, highways, and numerous major infrastructure projects around the region. The quarry went from a hillside 350 feet above sea level to a pit 350 feet below sea level – one of the lowest-elevation sites in the United States.